Custom printed products, including bump bars, face plates, logo labels, golf balls and specialty labels are designed in house in Gilbert Arizona to your specifications in as little as one week. 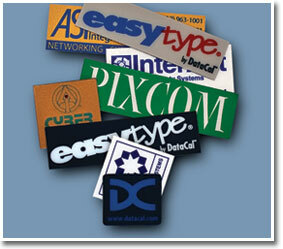 Tight registration with up to four colors, printed sub-surface with very high quality inks. Plastic injection molding and laser printing available. DataCal has specialized in pad and screen printing on special surfaces, including plastics and poly-carbonate, with very tight registration for retail applications, medical device labeling, POS systems, banking institutions and police, fire and government agencies. Please call our custom department at 1-800-459-7931.